After only a handful of features, Iran’s Asghar Farhadi has created his own genre, it seems: the neorealist domestic mystery. Movies such as “A Separation,” “The Past” and “About Elly” have proven how taut and engrossing the actions of sympathetically flawed human beings can be when the right conflict is dropped in their laps. Steeped in middle-class anxieties of relationship politics and social status, his work remains quietly resonant about his home country’s sensitivities (tradition, repression, religion, class). Such is the case with Farhadi’s latest vise-tightener, “The Salesman,” which picked up two awards at the 2016 Cannes Film Festival and was recently Oscar-nominated for Best Foreign Language Picture. (“A Separation” won in 2012.) It’s a movie whose parallels and connections sneak up on you while the meat of the story is happening, and though it’s not in the same league as “A Separation” or “About Elly,” the film shows once again Farhadi’s mastery with characters who seem ill-prepared to deal with uncertainties in the narrative of their lives. After images of a furnished, unpopulated stage set mark the credits, the first disruption starts the movie, when a forced evacuation from their old, damaged apartment building displaces married couple Emad (Shahab Hosseini) and Rana (Taraneh Alidoosti). Members of a theater troupe, they’re in the middle of staging a production of Arthur Miller’s capitalist tragedy “Death of a Salesman”; he’s Willy Loman, she’s Linda Loman (and you can allow your snap analogies to brew a little). Emad and Rana are resigned to making the theater a temporary home when fellow cast member Babak (Babak Karimi) offers them a rooftop apartment he manages that’s just been made available. It’s an ideal solution, save the odd detail that the previous tenant’s belongings are still there, stuffed into a locked room, and she won’t come to get them. After moving the vacated tenant’s stuff outdoors, Emad feels guilty enough to go out and cover them with a tarp when it starts raining. Then, after a small scene showing Rana in the apartment alone one night and hitting the buzzer to let someone in, the movie jumps over a strategic gap in the action: Emad comes home late to find blood on the outside stairwell, an open apartment door, broken glass, and nobody inside. Frantically arriving at the hospital, he finds a bloodied Rana being operated on for a head wound and encounters the neighbors who heard cries and found her unconscious. Once home, Rana tries to recover, her sense of security in tatters, while a tightly wound Emad — working off a few clues, and dissuaded from engaging the police by Rana — becomes obsessed with finding her assailant. Farhadi’s facility with queasy discord is again shown to gut-churningly powerful effect. The naggingly absent ex-tenant is now, in Emad’s eyes, a dubious character at the heart of the mystery. His colleague-landlord Babak is suddenly suspect for not telling him about her. (Emad takes it out against him during a performance, imbuing a scene of theirs with improvised anger.) As vengeance starts to cloud Emad’s mind, his wife’s frayed nerves (freezing on stage, not wanting to be alone) begins to test his patience. Of course, Rana’s post-traumatic mindset is understandable. But Emad’s is squishier, and could be read as a subtle critique of the kind of bubbling cauldron of shame and honor that underscores an Iranian society dealing with how to blend tradition and social mobility. Emad certainly doesn’t seem like a typical pride-driven male early on, joking with his English Lit students or casually dealing with word that censors might excise scenes from the play. After the incident, though, which carried the added horror of occurring while Rana was showering, he’s almost fueled by the need to confront and humiliate those around him, even one of his students who prankishly takes a picture of him sleeping at the back of a class during a film. Hosseini, who won Best Actor at Cannes for his portrayal, captures this change in Emad with quietly unnerving power, revealing a man who assumed he was modern, now knocked backward and stumbling to gain his footing again. The big question, though, is what would Emad do if he ever learned what happened, or could meet the attacker? 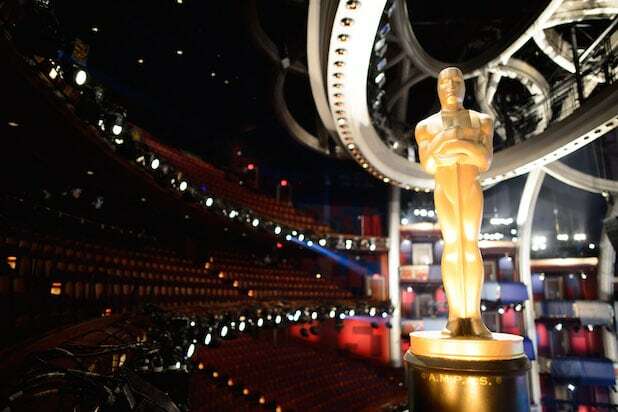 It’s thrillingly answered in the drawn-out, nail-biting and commandingly acted final sequence, which plays out in a handful of rooms like a blistering one-act, the kind that forever alters the way its key participants look at each other, and at the whole stormy arc of life. It’s when the title makes itself apparent as well, as not just a role to play in Emad’s cultural existence. 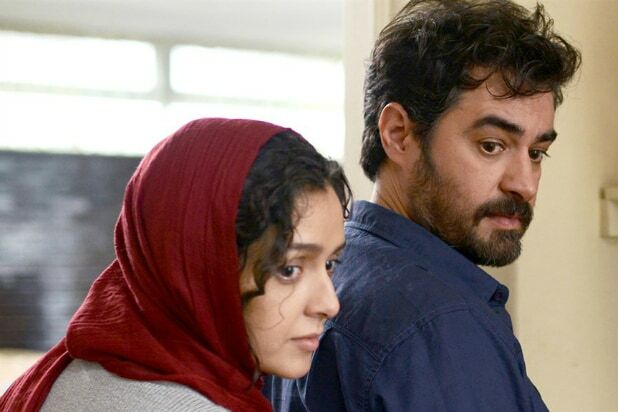 “The Salesman” isn’t always the tightest or most purposeful of Farhadi’s explorations of the fragility of relationships, but the last 30 minutes of this one alone are a marvel of moral suspense and mini-tragedy.